Posted On November 28, 2017 by Team iCynosure. Today, there are hardly any natural products available in the market and scary as it is these include baby products as well. Every time I’m out picking things for my princess, I spend endless minutes going through the ingredient list; to ensure I get the one product that is in the least bit toxic. But this is without much success. As a ninja mom, I’m committed to using natural products for my little one and all the energies I put into looking for them has yielded some good results. Yes, research helped me find MamaEarth … the brainchild of a couple who wanted to offer mum-baby friendly, toxin-free, ultra-awesome products to all parents. Of course, when I read so much about a particular brand, I am skeptical at first; because chemicals are everywhere. 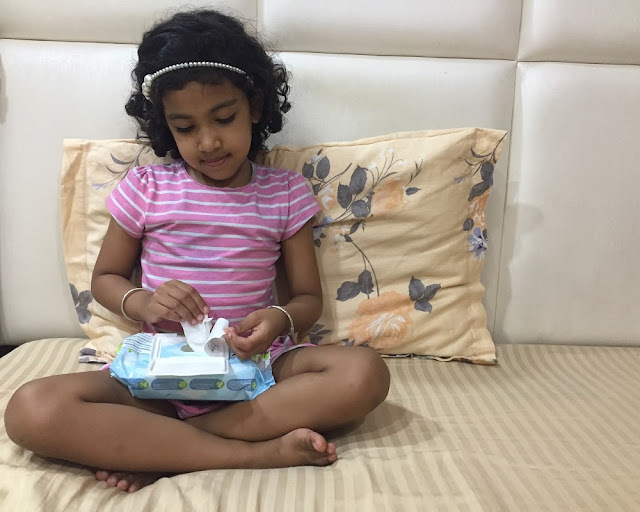 However I threw caution to the wind and decided to try on one of the most basic product from the brand’s huge portfolio, MamaEarth's Baby Wipes … because believe it or not, only a mom knows how much mess a little one can make on a daily basis that needs to be cleaned up. 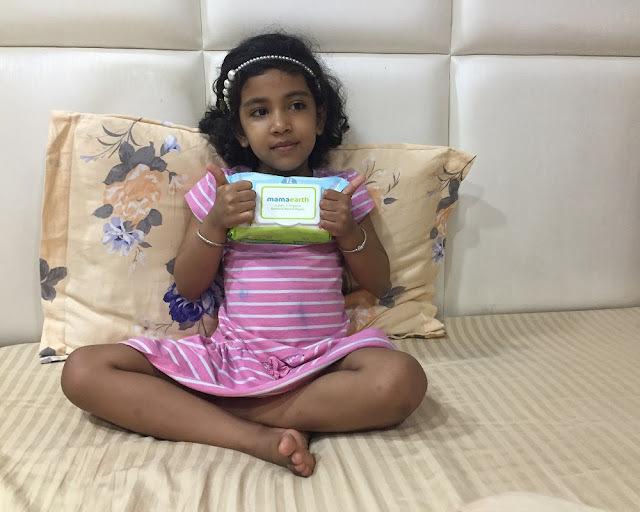 The first thing that caught my attention was that the wipes were made from one of the most sustainable bamboo fibers that are not only pH balanced, hypoallergenic and chemical free but also biodegradable and organically produced. Add to that the goodness of Almond Oil, Shea Butter, Lavender Oil, Aloe Vera extract, and the product seems to be a winner right away. Over the last few weeks that I’ve used the product, I’ve loved the fact that there has been no case of skin irritation or rashes for my little one. Apart from the main job of cleansing, the wipes do an amazing job at nourishing and moisturizing the skin leaving it smooth and silky. Another quality that I liked about the product is the length and thickness of each wipe that enables more absorption. The wipes are made without bleach, don’t contain fragrances, parabens, or any other synthetic ingredients. Everything used to make them is natural! Hence, I’ve decided for #PrincessHeer this is it, it doesn’t get better than MamaEarth. I’m definitely going to try other products from the brand and keep you informed about my experience with them.